Darlington driver Ian Bainbridge has entered the 2019 KNC Groundworks Ltd Motorsport UK Scottish Rally Championship (SRC) as he looks to improve his confidence and results behind the wheel of a rally car. 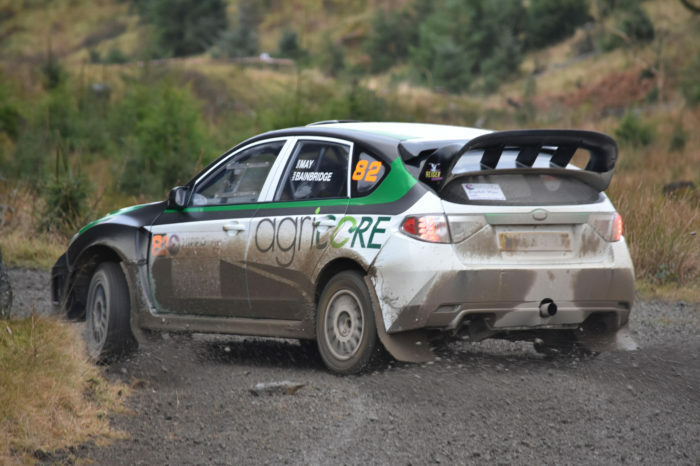 Driving what he calls a Subaru Impreza “Group N+”, Bainbridge will contest all but one of the SRC rounds this year as well as a full BTRDA campaign, with a friend’s wedding ruling him out of the Argyll Rally. Bainbridge entered the RSAC Scottish Rally last year, and since has been impressed with the atmosphere and the competition within the SRC. “I enjoyed our brief outing on the Scottish last year, the forest was challenging, a nice mixture of fast and technical,” he said. Bainbridge first competed in a Peugeot over a decade ago, but a nasty accident on the Riponian Rally forced him out of competing. Returning to do some airfield events in 2017, he stepped up to do some BTRDA rounds last year achieving a best finish of fourth on the Malton Forest Rally, but admits he has no idea how competitive he will be in Scotland. “The SRC is an unknown quantity for us. I’d love to say we’ll be aiming for top fives but in reality I’d be happy with top 10s on rallies I’ve never seen or competed on,” he revealed. “Unfortunately I’m a bit of an R&D nut, in business and out, so whilst most people don’t know me I’ve been looking at them. David Bogie and Jock Armstrong are guys I’ve followed along the years and am impressed by, certainly Jock’s Subaru is the one to beat for us, however unlikely that is! Bainbridge himself should be sharp though, having received driving tuition from 2004 British and multiple American rally champion David Higgins. As well as learning how to left foot brake and seeing where the car’s limit was courtesy of Higgins, the Impreza is also set for some tweaks that should make it even faster. Bainbridge will be partnered by experienced co-driver Jamie Edwards this season, who helped Donnie Macdonald fight Andrew Gallacher for the SRC title last year. “I really want to add thanks to Jamie Edwards for coming onboard as our co-driver,” Bainbridge added.